Services are free of charge however we greatly appreciate donations to help cover our costs. Our funding comes exclusively from our local community. 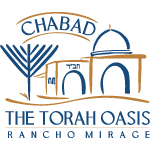 Optional: In honor of the high Holidays, I would like to make a contribution to Chabad to help support this and other programs in the community.